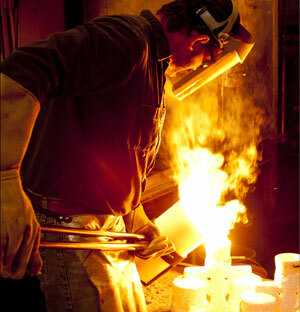 Since 1974, American Casting Company’s foundry in Hollister, CA has delivered high quality investment castings with the industry’s shortest lead times. Our AS 9100 certified best-in-class methods consistently meet the most stringent quality and delivery requirements of our customers in the medical, aerospace, oil and gas and food processing industries. American Casting is able to deliver complex parts with ultra-fast standard lead times by incorporating lean production philosophies with the latest in 3D printing equipment and manufacturing technologies. Whether manufacturing prototypes, high volume production, or custom production products, we deliver castings in a matter of days – in stark contrast to typical casting industry lead and cycle times measured in months. American Casting specializes in the processing of nickel based superalloys (Vacuum Melt), cobalt based alloys, including implant grade CoCrMo, a wide range of stainless steels and other materials required by our diverse customer base. View our materials and capabilities.